Are you still playing Sims 3 ? If you still playing Sims 3 and have a Wishlist please let me know. I wandered over to My Sims 3 Page for whatever reason. There was a notice to click to Redeem Free SimPoints and now I have Simpoints I cannot use. I would love to share a few with you here. 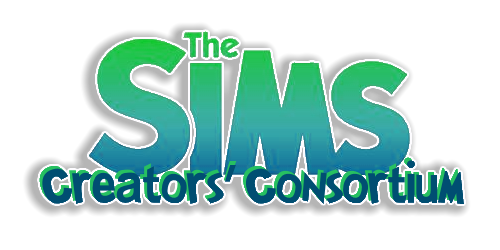 You can reply to this post or send me a PM with your Sims3 Wishlist. I have a few points left but not enough to gift anyone something. It's really a shame EA wasn't more thoughtful about their good customers ( the ones who spent oodles at the Sim store). I don't see them as a very thoughtful company. Or is it far thinking? I tried playing TS3 a few weeks ago after after redownloading the games and reinstalling the store stuff but it wouldn't come up so got help and came to realize ( by the nice lady who was helping) that I'd left the Mods folder in cause I'd forgotten about it. After removing the folder the game came up fine but it halts so much it's basically unplayable. So, of those still playing TS3 I ask you how are you doing that? Are you having the awful pauses interrupting your game play? Are you able to use the mod that clears out stuck objects or are you not playing with certain EP's? I hate to give up on this game. It's just too much fun and I had something I wanted to try and planned on doing a story about it. I'm playing a lot lately. I'm still working on the LTW Challenge. I use a lot of Nrass mods. Overwatch, I think, is the one you are talking about. Yes, I use that and Master Controller. There are a few more that I use as needed. My new computer is a beast and handles it very smoothly. I have crashed a couple of times when I try to travel across the world by right clicking on a Sim. I'm playing in Gold Coast, which is amazing for me. I had to stop playing it on my old computer because it couldn't handle it. I have all of the EPs and SPs installed and I'm using all of them. (I don't own the Katy Perry SP.) It runs pretty smoothly for me. I only get a pause when Overwatch is running at 3am Sim time. I'm having a great time with it. I hope you will be able to play it Gram. I have also played TS3 recently, in fact I spent a good long time in that game today! I also play with a few mods from nraas. Overwatch is one of them and I noticed that it is back in testing phase over on nraas for a coding update you can download the "testing phase" mods, just use them at your own risk. My pc is a couple years old and was built for gaming. I have minimal lag now but not as much as I used too. I too, have all ep's and sp's plus just about the whole store if not the whole store. I have unchecked WA and Katy Perry SP through the launcher and it is now running much smoother. I go through my folder and delete the .tmp and missingindexfiles from the DCcache files and delete everything except the ccmerged.package in the DCbackup folder along with deleting CASPartcache. package, compositorcache.package, scriptcache and simcompositorcache. packages on a regular basis. It does help. Like EQ posted, is anyone wants something off their wishlist post it here. I have like over 1400 simpoints and there isn't anything else I can get from the store for myself and I just want to get rid of these points. Thanks for the info. I have Overwatch( which I used and MC( which I didn't use ) . Maybe I'll try putting Overwatch back in and see if it will work. Whenever I get time again. Loving playing Folk Tale even though I'm not very good at it and Adventures of Yarney are still waiting in the wings. Also played a llittle Medieval now and then. I'm determined to get through all of it then will probably put it 'to bed'. Subject: Re: Are you still playing Sims 3 ?